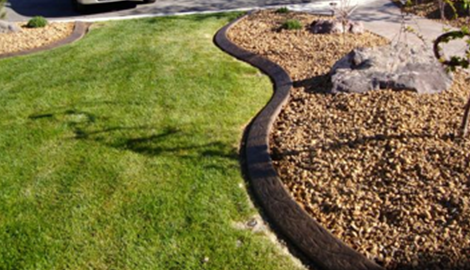 We create beautiful curbing, landscape curbing and concrete borders in the Riverton, Utah area. What are you waiting for? Contact us today to start planning a home makeover! 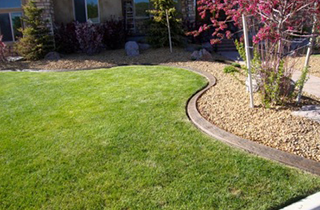 Beautiful and elegant landscape curbing can be yours before you know it – call us today to speak with a consultant! 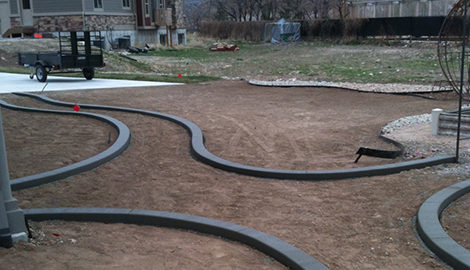 Contact us about custom concrete borders, and we will help you create an oasis in your home! 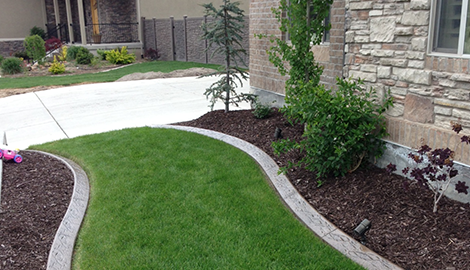 For over 18 years, C & C Curbing has created beautiful curbing, landscape curbing and concrete borders in the Riverton, Utah area. As a family-owned and operated business, we understand how important your home is to you and your family. Let us help you enhance your home’s natural beauty by adding the details you’ve always dreamed of. Whether it’s gorgeous curbing around the front walk, unique landscape curbing throughout the front lawn, or concrete borders to add to the patio in the back – we can help you achieve your dream home. Since 1997, C & C Curbing has worked closely with families throughout Riverton to design and execute each homeowner’s diverse and unique ideas. Our consultants will work with you on every aspect of the design process – from layout and area to color and style, our competitive prices and caring consultants will help you achieve your vision. No matter how small or large the job may be, you can rest assured that we will work closely with you from beginning to end to ensure that the project meets your every expectation, and we back our work with a total quality guarantee. 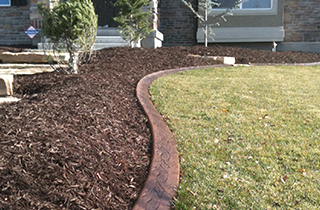 Here at C & C Curbing, we’re not just providing curbing, landscape curbing, and concrete borders services. We’re also providing personal, affordable, and quality care so that you and your family can have the beautiful home you’ve always dreamed of. 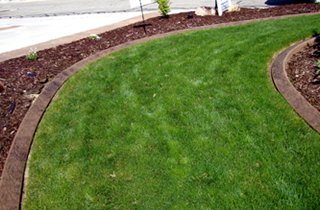 We are Riverton’s go-to family company for curbing, landscape curbing and concrete borders. For over 18 years, we’ve provided high quality work at competitive prices. Let our family help your family achieve your dream home – contact us today to get started!